This is a post by authors Andre Camargo, Marcia Taue, and Livia Bongers. Andre and Marcia are based at Universal Aviation Brazil, which has aircraft ground handling facilities in São Paulo, Brasilia, Manaus, Recife and Rio de Janeiro. Andre, Marcia, and Livia are experts on business aircraft operations in Brazil and can be contacted at andrecamargo@universalaviation.aero or marciataue@universalaviation.aero. This year’s FIFA Confederations Cup will be held in Brazil at six different cities from June 15 through June 30. The games are the preliminary events before the world cup next year. Each city will host three matches, with the finals on June 30 in Rio de Janeiro. On the days of each event, specific flight rules will be activated one hour prior and four hours after the matches. 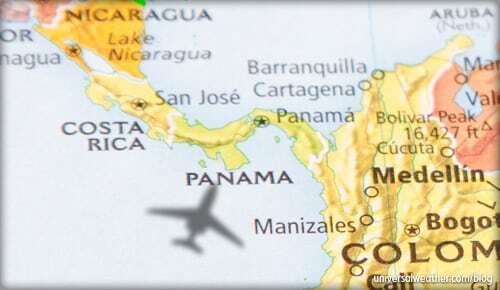 The international airports below are the recommended destinations for business aircraft operators to utilize, as authorities are preparing specific plans to accommodate the increased movement during this event. The following is a list of all the games by destination, along with the recommended airports to use. If aircraft parking is unavailable at the primary airports, there are also alternate airports to consider. Recommendation is to consider SBGL instead of Santos Dummont (SBRJ), as the PPR is easier to obtain, and aircraft parking is available. Make sure your towbar is onboard. Because of a large number of aircraft movements, obtaining a towbar locally can take anywhere from 40 minutes to as long as two hours. A PPR will be needed for this event with at least 48 hours’ notice. To avoid delays, advise your ground handler in advance of any services that are needed for your trip. Hangar space is not available at this airport. Customs is cleared at the main terminal, and the clearance process takes approximately 30 minutes, depending on traffic. It’s recommended to provide at least 24 hours’ notice for all in-flight catering orders. Per NOTAM K1225/2013 issued for SBGL, general aviation (GA) flights will be restricted to a maximum of four hours on the ground between Jun 13 and Jul 3. Parking: Not available. Only three hours on the ground is authorized. A PPR is required for all operations to this airport per permanent notice to airmen for general and business aviation traffic with a maximum of three hours on the ground. For the PPR, you must submit the following details: aircraft registration and type; full schedule, including departure and destination airports; and ground handling agent details. The ground handler can assist with the PPR request. Due to the large amount of traffic at this airport, slots are difficult to obtain. For this reason, the earlier the slot request is submitted, the better. Also, keep in mind that the in order to request the slot, the landing permit must first be issued by the Civil Aviation Authority and this process from permit application to slot approval can take up to 72 hours. All airport slot confirmations need to be placed in the remarks section 18 of the flight plan. Per NOTAM K1222/2013 issued for SBGR, general aviation (GA) flights will not be authorized to operate at this location between Jun 13 and Jul 3. Per NOTAM J0489/2013 issued for SBKP all aircraft intending to operate to this location should request airport slots via the slot integrated system for accommodation between Jun 13 and Jul 3, at least 25 hours prior to the operation. Aircraft parking is subject to availability. 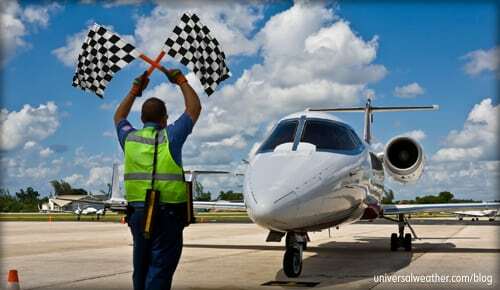 From Jun 13 to Jul 3 airport slots are mandatory for all operations into and out of this airport. The earlier the slots are requested, the better. Also, keep in mind that the in order to request the slot, the landing permit must first be issued by the Civil Aviation Authority and this process from permit application to slot approval can take up to 72 hours. GA operations will be moved to an apron on the north side of the airport, and aircraft will have to be towed into narrow parking positions. Not all models of towbars are available at this airport, so it’s recommended that you bring your own. Passengers and crew will be transported to the main terminal to clear customs and immigration formalities. Per NOTAM J0490/2013 issued for SBCF, GA flights will be restricted to a maximum time of three hours on the ground between Jun 13 and Jul 3. A PPR will be needed for this event with at least 48 hours’ notice lead time. Airport slots should be requested as soon as the schedule is known to allow the ground handler time to prepare for requesting the slots at the 25-hours-prior-to-arrival lead time. GA operations will be moved to a runway that will be shut down for aircraft parking purposes. Not all models of towbars are available, so it’s recommended that you bring your own. Per NOTAM F1222/2013 used for SBBH, all aircraft intending to operate to this location should request airport slots via the slot integrated system for accommodation between Jun 13 and Jul 3, at least 25 hours prior to the operation. GA flights originally planned to travel to SBBH may use the alternates below. GA shares the transit space with cargo aviation. All aircraft will be directed to apron 3 on landing and repositioned to apron 5 for overnight. With heavy traffic expected, it is very important to keep the schedule updated. Per NOTAM I0586/2013 used for SBSV, GA flights will be restricted to a maximum time of four hours on the ground between Jun 18 and Jul 3. GA flights originally planned to travel to SBSV may use the alternates below. From Jun 13 to Jun 30 airport slots are mandatory for all operations into and out of this airport. The earlier the slots are requested, the better. Also, keep in mind that the in order to request the slot, the landing permit must first be issued by the Civil Aviation Authority and this process from permit application to slot approval can take up to 72 hours. Per NOTAM I0584/2013 issued for SBFZ, GA flights will be restricted to a maximum time of four hours on the ground between Jun 13 and Jul 3. GA flights originally planned to travel to SBFZ may use the alternates below to SBTE, SBMS and SBPB among the airports coordinated for the period of the confederations cup (no English version available yet). Per NOTAM I0576/2013 issued for SBNT, general aviation (GA) flights will be restricted to a maximum time on the ground of four hours between Jun 13 and Jul 3. Per NOTAM I0582/2013 issued for SBRF, general aviation (GA) flights will be restricted to a maximum time on the ground of four hours between Jun 13 and Jul 3. Overnight aircraft parking for this airport will not be possible for this event. From Jun 13 to Jun 26 airport slots are mandatory for all operations into and out of this airport. The earlier the slots are requested, the better. Also, keep in mind that the in order to request the slot, the landing permit must first be issued by the Civil Aviation Authority and this process from permit application to slot approval can take up to 72 hours. GA operations will be moved to an apron on the north side of the airport, and aircraft will have to be towed into narrow positions. Per NOTAM I0582/2013 issued for SBRF, GA flights will be restricted to a maximum time of four hours on the ground between Jun 13 and Jul 3. GA flights originally planned to SBRF may use the alternates below. Airport slots can be requested no more than 25 hours prior to the time of operation and no less than one hour in advance of desired operation. The confirmation number provided must be included in the remarks section 18 of the flight plan. An operator can only request two arrival and two departure slots daily. Per NOTAM F1600/2013 issued for SBBR, all aircraft intending to operate to this location should request airport slots via the slot integrated system for accommodation between Jun 18 and Sept 16, between Monday-Friday 1100-1400 UTC, at least 25 hours prior to the operation. Aircraft parking is subject to availability. GA flights originally planned to travel to SBBR may use the alternates below. Brazil requires domestic landing permits for all operations within the country, other than international operations to a single destination stop. The only other exception is for a single tech stop in Brazil en route to your destination (outside the country). For more information on landing permit requirements, see this article by Andre Camargo: "8 FAQs on Flight Permits and PPRs in Brazil." If an aircraft remains in Brazil 24 hours or longer, the federal treasury will issue a "temporary admission," which will be required for all other stops within Brazil. The only person permitted to sign the document, other than the owner of the aircraft, is the captain. 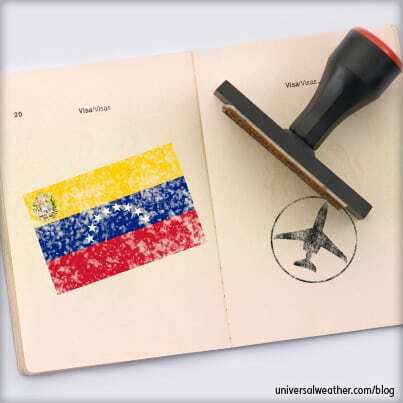 The document will have to be returned to customs before the aircraft departs Brazil. The cities hosting the events have a limited selection of 4- and 5-star hotels. Best practice is to book these hotel accommodations as early as possible due to high demand anticipated during the FIFA Confederations Cup Brazil 2013. Short-notice requests will be difficult to source. It’s recommended to avoid rental vehicles due to traffic and security issues and possible road closures during the event period. 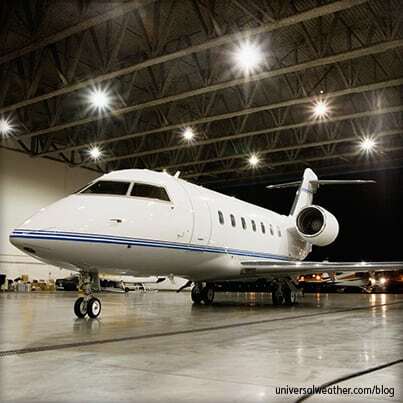 Prepaid local transport (car and driver) is the preferred option for many business aircraft operators, and your ground handler will be able to make those arrangements. Increased security measures will be adopted, and air routes will undergo significant changes one hour prior and four hours after the matches. 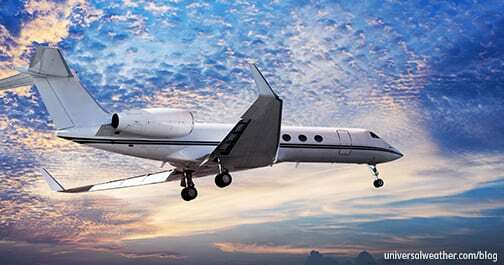 Times to process flight plans and determine adequate routing may vary by routes and destinations. Make sure your flight plan is filed within at least three hours prior to your planned takeoff. 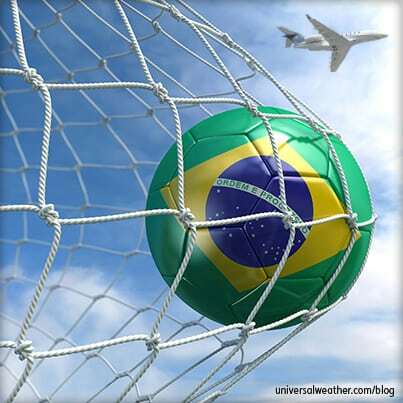 Additional information on the Confederation Cup Brazil 2013 can be found at the FIFA website. 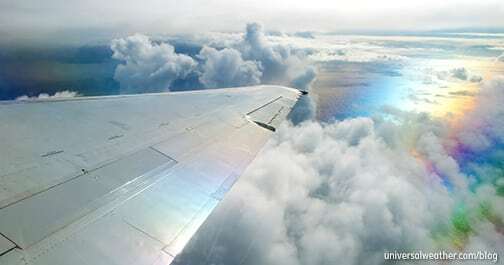 You can find additional articles covering business aviation operations in Brazil on this blog. If you’re planning or even contemplating flying to the host cities of the FIFA Confederations Cup Brazil 2013, it’s important to begin considering permits, aircraft parking and hotel accommodations as early as possible. While short-notice operations will always be possible, preferred aircraft parking and accommodations may not be available for last-minute trips. If you have any questions about this article, contact us at andrecamargo@universalaviation.aero or marciataue@universalaviation.aero. Got a question for Andre about this article? Universal Aviation Brazil Country Manager Andre Camargo has more than 20 years’ experience in the aviation industry in both ground handling and flight operations management. Based in Sao Paulo, Andre is an expert on operations to and from Brazil.Andre holds both a law degree from the Universidade Cidade de Sao Paulo and an MBA from Fundação Getulio Vargas.